Such a lovely post! From someone who needed to be inspired today, thank you for all you do. Love this post. You ladies have worked so hard - it has been so inspiring to watch the whole process. Great job. *and what a sweet boyfriend! little things like that are the best. I love this post :) What a wonderful reflection... and a great reminder for all of us to savor the good times! Congratulations! So many exciting things! So sorry I couldn't make it last night. Hope to see you soon! So many exciting things -- yay! I had a wonderful time last night -- you and Danielle were perfect hostesses, and looked lovely. sweet boyfriend. love that. thanks for sharing your joys! But congrats on your event! I'm so thrilled to see all of the successes from your hard work. It's very inspiring! Your home is absolutely beautiful I've seen many pictures of it on hundreds of pinboards and all over tumblr. What a wonderful post and so inspiring! You guys have been working so hard and it really shows. 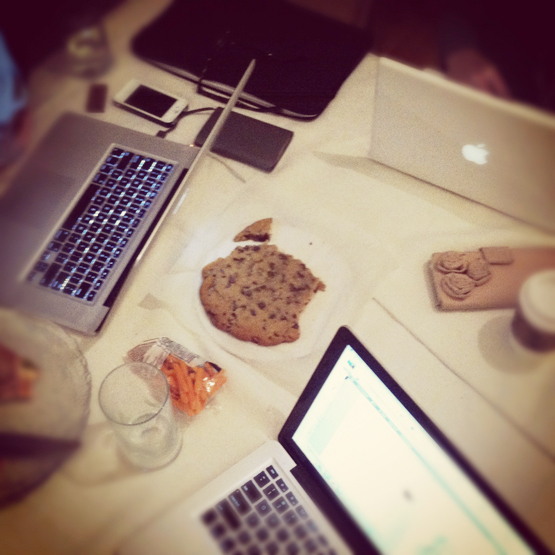 I love the blog and the Everygirl. It's a truly amazing idea and thank you for all the time and effort! You won't believe this, but we're a few days away from 9 months! Such a great event last night! Talk to you tomorrow (and every after that forever and ever). Lucky you!!! I absoloutely LOVE that Emily Dickinson quote and actually have had a postcard with it pinned next to my desk. You are certainly living a big, beautiful life. You and Danielle are such an inspiration to me, and it's truly success stories like yours that gave me the confidence I needed to put in my two-weeks notice at my job today and announce that I'm pursuing my business full-time. I'm sad I couldn't make it out to the event last night, but just wanted to say THANK YOU for being such a great example of the success that can come from drive and hard work for something you believe in. 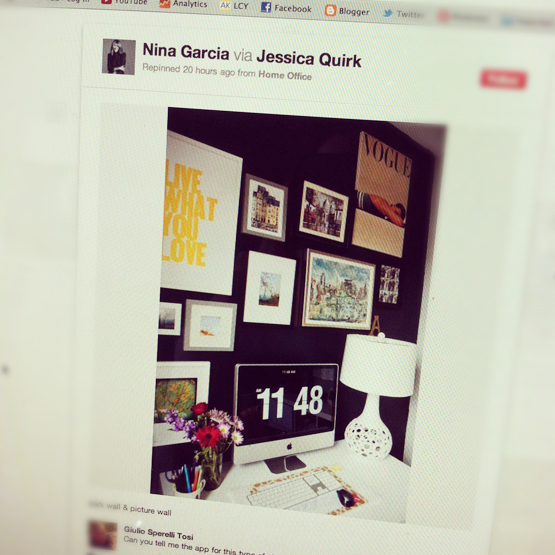 yes, I even saw that Nina Garcia pinned your office and I was like, "Whoa! Wow!" Go you! You look stunning in that floral dress! 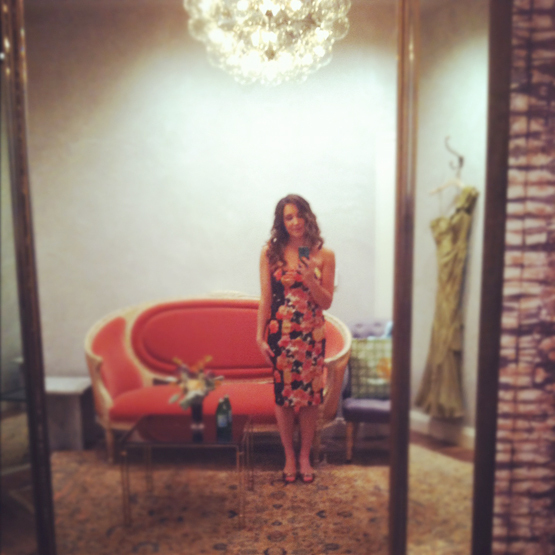 I'm so sad I missed the BHLDN party but I heard only great things! Congratulations on everything! 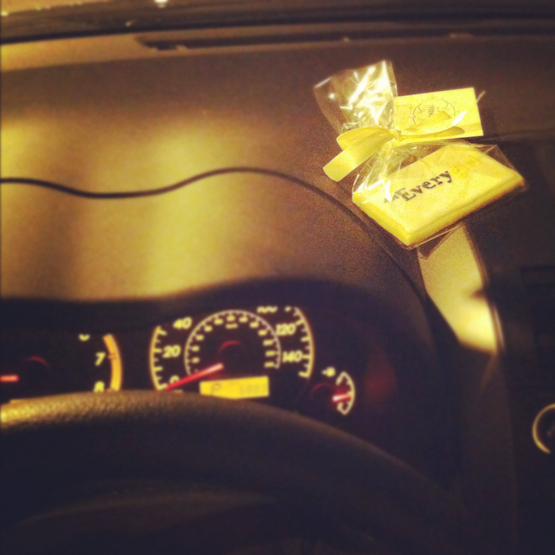 I love that your boyfriend left you the cookie- that was so sweet! :) Every single one of those things was so deserved. Thanks for being an inspiration to all of us! P.S. You look awseome in that dress! There is so much to celebrate and be thankful for... I love this post. It is nice to reflect on all that showers you with grace and happiness! Yay! Congrats on all of this. Such big accomplishments & it's fun & motivating to hear about these quiet reflections.